If there is a single word more alluring than Italy then it must be its own heart and soul…Tuscany. 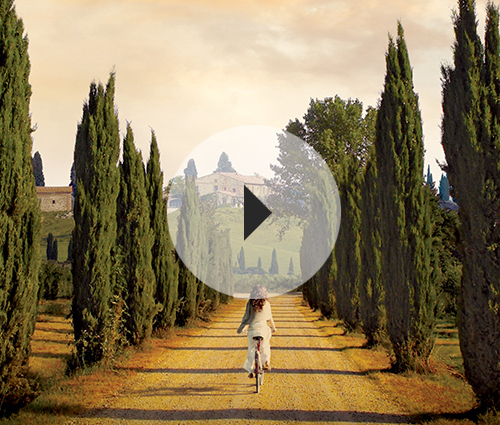 Always so much more than a place, Tuscany is first a way of life, each present moment infused with two centuries of the world’s favorite art, culture, food and wine. In the rolling Tuscan hills not far from the mythic cities of Florence, Siena and San Gimignano is one of the largest private landholdings in all of Italy. Vineyards and orchards of olive trees pattern the landscape. At the heart of it all is Casali di Casole – A Timbers Resort. Dotting the hillsides are restored and reconstructed Casali farmhouses, each with its own mesmerizing glass-tiled infinity edge pool available for whole ownership or deeded residential interests through our Private Residence Club program, and also available for nightly rental. The Casali are furnished in traditional Tuscan fashion with luxurious modern updates, including sumptuous baths and fine Italian furnishings. Casali di Casole effortlessly combines Old World Tuscan charm with modern boutique luxury, elegance and sophistication. Activities & Adventures Why Stay With Us? This is the very best Luxury Real Estate in Tuscany, and we invite you to join us either as a whole owner or through our private residence club program. Please contact us Reservations at 844.294.1091 or Real Estate Sales at 866.619.2777 or complete this form to learn more about Casali di Casole and a representative will contact you shortly. At the heart of this vast, vibrant and vital estate is a storied castle that dates back to the year 998. Your arrival is through a cypress-lined lane that leads to the elegant courtyard. Here you will be welcomed to a five-star estate in the grand European tradition.